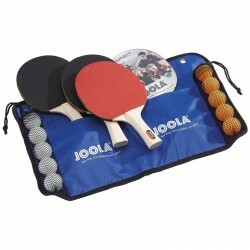 Joola table tennis set consisting of 2 Joola Spirit bats as well as 3 balls. 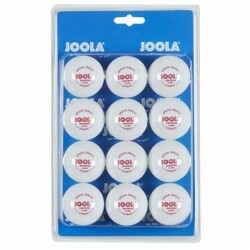 The Joola table tennis set Family includes 4 Joola-Spirit bats and 10 balls. The Donic Schildkröt table tennis bat CarboTec 7000 is the high-quality table tennis bat of the Donic-Schildkröt CarboTec production line. With the CarboTec Line, Donic-Schildkröt presents the innovation in table tennis. 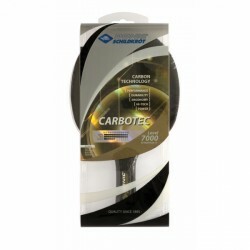 The CarboTec 7000 is made of high-quality carbon instead of wood and offers a rubber of 2.3 mm. 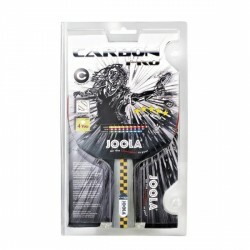 Be excellently prepared for your next match with the Joola table tennis bat Carbon Pro. It offers ITTF licensed layers and the Joola-Carbowood-technology. This carbon reinforcement provides better playing features and a bigger sweet spot. 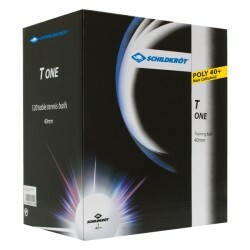 The Donic-Schildkröt table tennis balls T-One are one of the high-quality, hard training balls (fine selection9 fo the brand Schildkröt and are especially suitable for training as well as school and club sport. 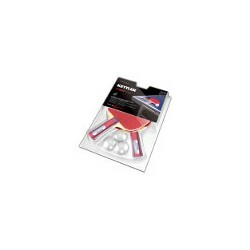 12 table tennis balls for multiple training use. The classic among the competition and club balls! Millionfold approved for its quality, longevity and extreme capactiy. The classic among the competition and club balls ! Very good table tennis ball. No big difference to quality indoor ball. Good buy! Top tennis table ball. Super quality and bouncing capacity. In this category, you find a multitude of different table tennis bats. From bats for starting up to high-quality bats with ITTF (International Table Tennis Federation) authorized competition rubber. 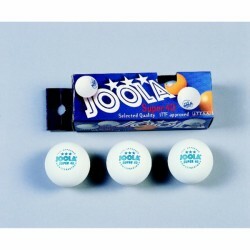 Furthermore, here you find table tennis balls for different use. Either club or competition balls of top quality or solid table tennis balls for leisure time.